20th Century Fox has released the first official trailer for X-Men: Dark Phoenix. 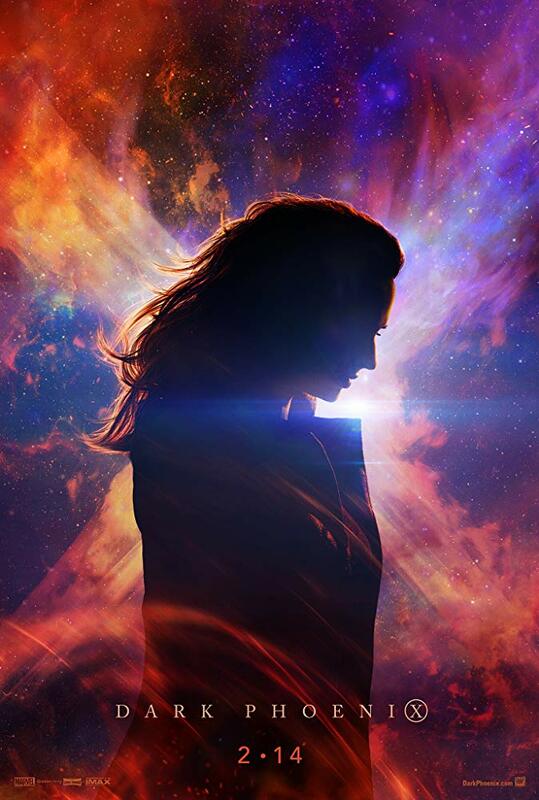 Directed by longtime X-Men writer/producer Simon Kinberg, Dark Phoenix follows the X-Men as they come face-to-face with the most formidable and powerful foe they’ve ever come up against: one of their own. Following a cosmic interaction that makes her infinitely more powerful, Jean Grey struggles with this entity inside of her, eventually unleashing her powers in ways she can’t contain. With Jean spiraling out of control and potentially unraveling the fabric that hold the X-Men together, they must find a way to unite to not only save Jean, but save the planet from the aliens looking to weaponize this power to rule the galaxy. Although this film has gone through some pretty big hurdles with reshoots and so-on, I’m still very much looking forward to what it has to offer. Remember, it’s still a damn X-Men movie! While Apocalypse was a big letdown, it started something incredibly interesting with this new, young team of X-Men. We wanted to see them back, older and more experienced. We’re getting that with this film. Not only that, but Simon Kinberg has decided to give fans exactly what they’ve been waiting for, a “justice is served” type telling of the Dark Phoenix storyline. It was told in Brett Ratner’s third X-Men movie, but it was a wash. Now, with an entire film focused on it, we can see it fleshed out in its true glory as it should be. I’ll be honest, I was a bit underwhelmed by the trailer. Don’t get me wrong, there’s tons of things in the footage that get me excited, but as a whole, I’m still waiting for something to push me over the edge. It is just the first trailer and as I said in our official reaction (which you can see below), I’m definitely more excited for the movie after seeing the trailer than I was beforehand. I love this young cast they’ve brought together, led by the magnificent Sophie Turner. While it all did feel “phoned-in” in Apocalypse, I do believe that the veteran cast can bring something to the film that can elevate it. Last thing I want to say is that although seeing writers move from screenplays to directing in the past has been a rough go, I do believe it can be done. Am I worried that Kinberg’s first ever directorial effort is such a massive project like this one? Of course I am, but the footage says otherwise. It’s a good trailer, it is. It’s a little off at times for me, but the footage shown gives me hope for what this film can be. With Disney more than likely acquiring the X-Men property in the near future, I’m really hoping that Kinberg is able to wrap up this 18-year run with the X-Men at 20th Century Fox in a nice little bow. Check out the first official trailer below, and make sure to leave your thoughts in the comments section! How excited have you been for the movie? Did the trailer live up to your excitement? What’s the best part of the footage? How about Sophie Turner as the Dark Phoenix? Also starring James McAvoy, Nicholas Hoult, Tye Sheridan, Alexandra Shipp, Kodi Smit-McPhee, Evan Peters and Jessica Chastain, Kinberg’s X-Men: Dark Phoenix blazes into theaters on February 14th, 2019.
,In DARK PHOENIX, the X-MEN face their most formidable and powerful foe: one of their own, Jean Grey. During a rescue mission in space, Jean is nearly killed when she is hit by a mysterious cosmic force. Once she returns home, this force not only makes her infinitely more powerful, but far more unstable. Wrestling with this entity inside her, Jean unleashes her powers in ways she can neither comprehend nor contain. With Jean spiraling out of control, and hurting the ones she loves most, she begins to unravel the very fabric that holds the X-Men together. Now, with this family falling apart, they must find a way to unite — not only to save Jean’s soul, but to save our very planet from aliens who wish to weaponize this force and rule the galaxy.